The marketing staff at Keepsake Ornaments, a division of Hallmark Cards, was in brainstorming mode. They wanted to attract more Black costumers, and were floating ideas about different collectible Christmas ornaments that would appeal to a black clientele. The big idea that was being tossed around, an African American Barbie doll ornament, did not sit well with Marketing Strategist Kyra Hicks. Black Santa Claus, maybe. Christmas angels with different skin tones, maybe. But Black Barbie? Kyra Hicks was more than a marketer. She was and is an acclaimed quilter. Following the meeting, she channeled her emotions into the creation of a remarkable quilt. This quilt was one of the major pieces featured in the Fenimore Art Museum’s exhibition “Through the Eyes of Others: African Americans and Identity in American Art.” At the close of the exhibition, we just couldn’t bring ourselves to send it back to the artist. So we bought it. Hicks uses the medium of fabric in traditional, yet innovative ways to create pieces layered with rich narratives which reinterpret ideologies of popular culture. 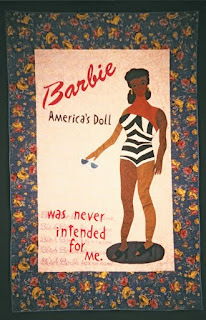 Hicks represents an American popular icon in her quilt Black Barbie (1996). The quilt features a black version of the original Barbie (1959). The use of text in this piece plays an integral role in communicating messages to the viewer. “Barbie” is scripted in its signature style across the top of the quilt, with “American’s Doll” written underneath. 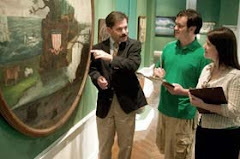 The choice to script “Barbie” in the traditional style enables viewers to instantly connect with the piece as their cultural memory is stimulated. Though the artist wrote these words from an African American woman’s perspective, this phrase has the ability to apply to many different women. The legacy of Barbie has impacted women of all shapes, sizes, and colors who feel they do not fit into society’s ideal framework. Painted behind the bottom text are five repeating lines of “Black Barbie has no name” This portion of the piece is not visible from across a room and encourages the viewer to further analyze the quilt. Hicks considers this one of her nuances, explaining that she creates multiple layers of messaging. Black Barbie is a powerful piece which addresses issues of body image and society’s obsession with beauty. Standards of “beauty” are dictated in the media and in popular culture, whether they are based on race or class, on a local, national or international level. Hicks’ reinterpretation of the traditional Barbie offers and different view of beauty. The quilt presents a story that transcends race and class boundaries, and has the ability to unite women of multiple backgrounds. Hicks explains that she tries to work through whatever she is feeling in a way that is universal. The reinterpretation of a popular iconic fictional woman enabled Hicks to present her personal emotions in a universal form. Black Barbie will be on view in our folk art galleries beginning on April 1st, making its debut as part of our permanent collection. I have no doubt that it will have an iconic presence in the museum for many, many years. You won’t, however, be seeing it as a Christmas card any time soon. This post was co-written by Cara Bramson of the Cooperstown Graduate Program as part of my elective course in American folk Art. 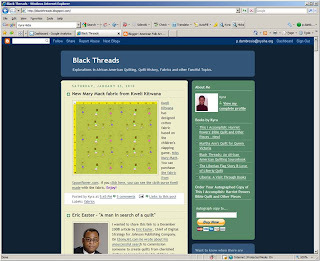 To find more of Kyra Hicks’ work, as well as her thoughts on quilting, see her blog, Black Threads. What a great quilt. And this is a very appealing Barbie, real and zaftig. As a child, I never understood why my mother wouldn't let me have Barbies, but now I do. A wonderful addition to the museum's collection. I hope to visit this summer. And Cara, your post is informative and well-written. Enjoyed it very much. Thanks, Christine and Nancy. We are thrilled to have the quilt, of course, for alot of reasons. I suspect it will get many people to recall the impact of Barbie on their lives. And I couldn't agree more about Cara! Thanks again. This is the piece I remember best from "Through the Eyes of Others" - so I am delighted that you decided to buy it! What a wonderful addition to your incredible Folk Art collection. So nice that so many more people will be able to view it regularly now! Thanks, Paul for posting this! I am thrilled that the Fenimore has added such an important and relevant piece to its collection. I look forward to seeing it on view! Thank you for posting this. 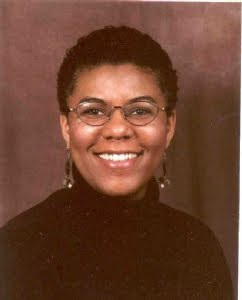 I'm Kyra's brother ... and we are very proud of the work that she has done re: African American quilters. It is an honor to know that one of her quilts will be on display!